Cassiopeia lies in the Milky Way; therefore, many objects such as nebulae (clouds of gas and dust) and star clusters lie within it. 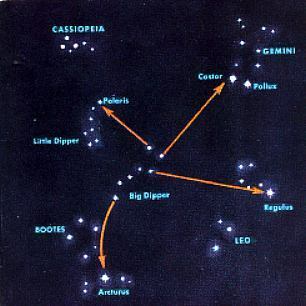 Scanning Cassiopeia with binoculars will reveal many of them, though the nebulae are a bit faint. Using a telescope is even more revealing. 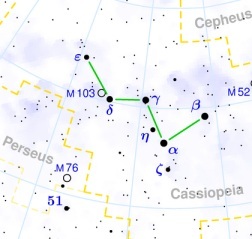 The Open Cluster M103 is quite easy to find, as are the double stars. Try locating M52 by using the star hopping technique. The objects listed below show up well in a 6" telescope, though some are quite small or sparsely populated, as in the case of M103.